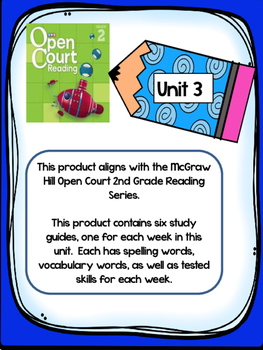 This product contains 1 study guide for each week in Unit 3, a total of six guides. 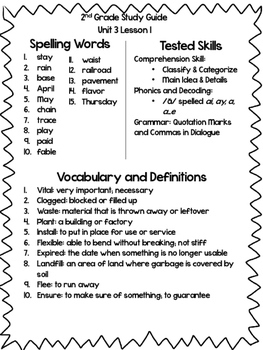 It includes spelling words, tested skill, as well as vocabulary words with the definitions. 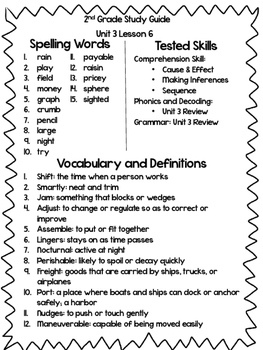 It's a great resource to send home each week with students. It allows them to have the materials they will be responsible for every week.